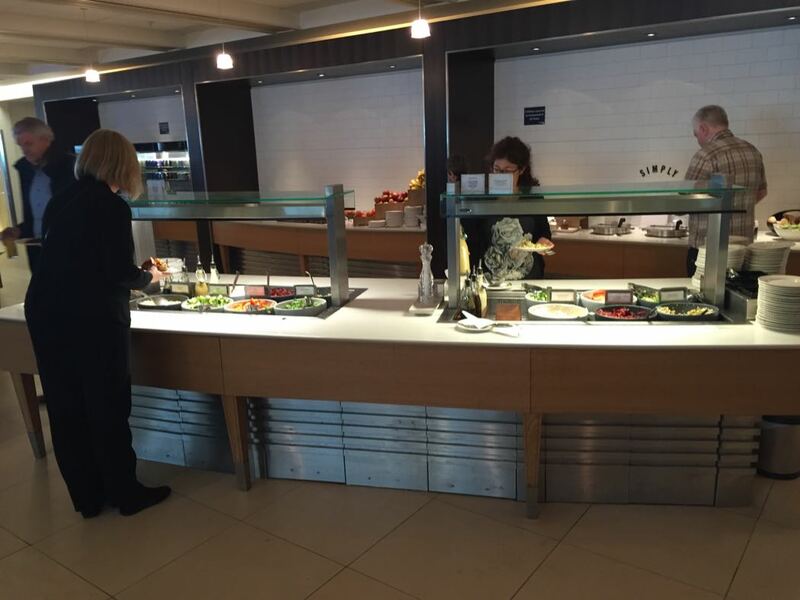 In this article, I review the British Airways Galleries Club South Lounge in Heathrow Terminal 5. 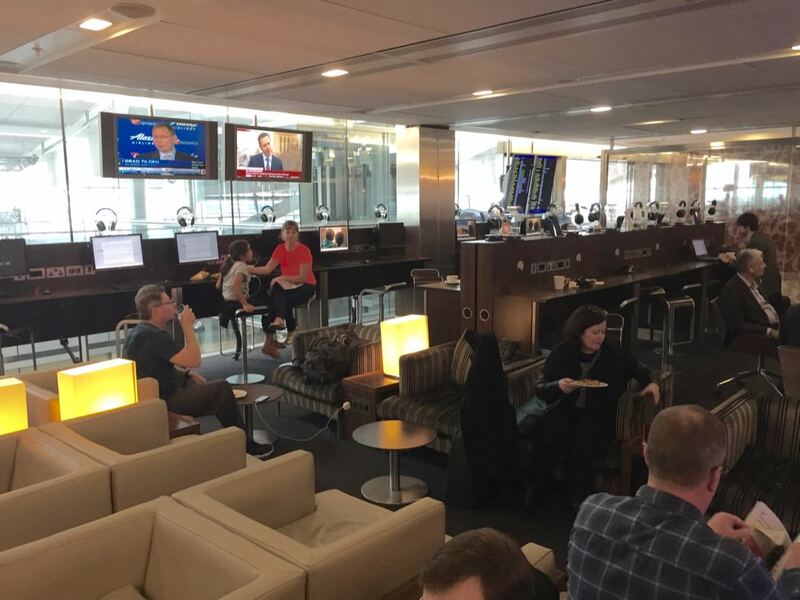 I have already visited and reviewed the British Airways Galleries Club North Lounge in Terminal 5 (and the Aspire Lounge in Heathrow Terminal 5), so when I departed for my most recent trip to Monaco, I road tested the Galleries South Lounge. 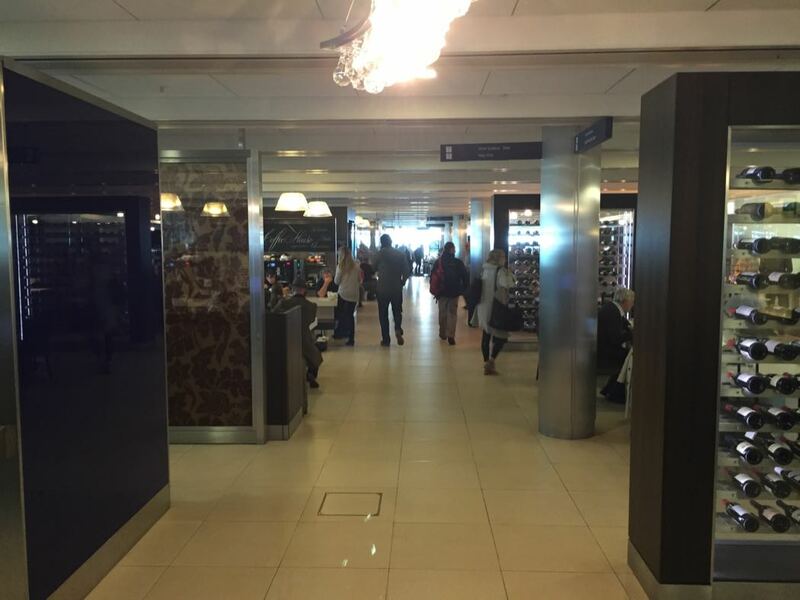 This lounge is located where the Concorde and First Lounges sit and is reached by travelling down to the departures shopping area, walking North towards the gates, and then travelling up 2 sets of escalators (the first level houses the Concorde and First lounges). 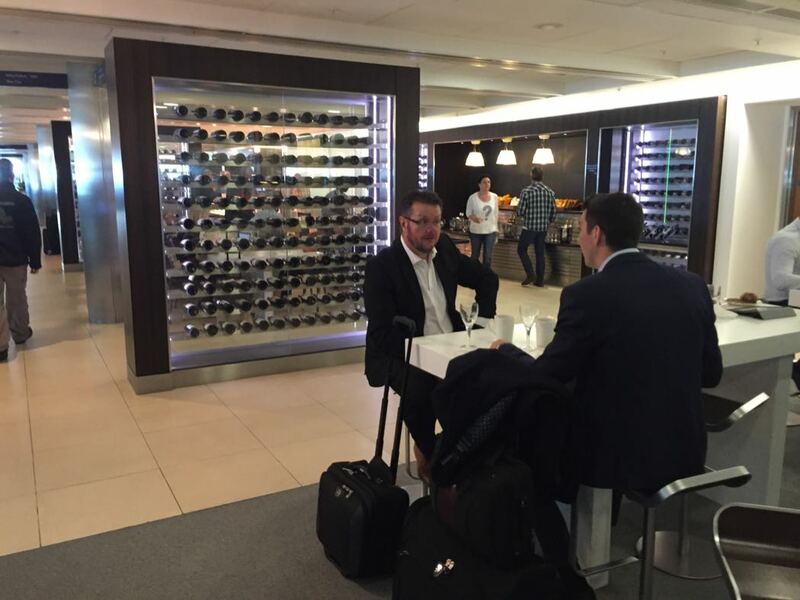 The Galleries Club North Lounge is open to Club Europe passengers, Club World passengers and holders of Silver British Airways. 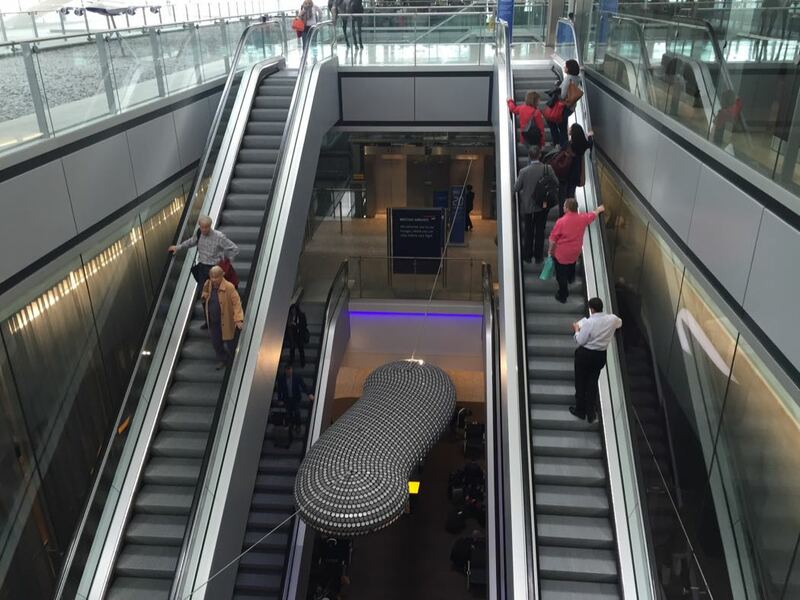 It tends to be less busy than the Galleries North Lounge. 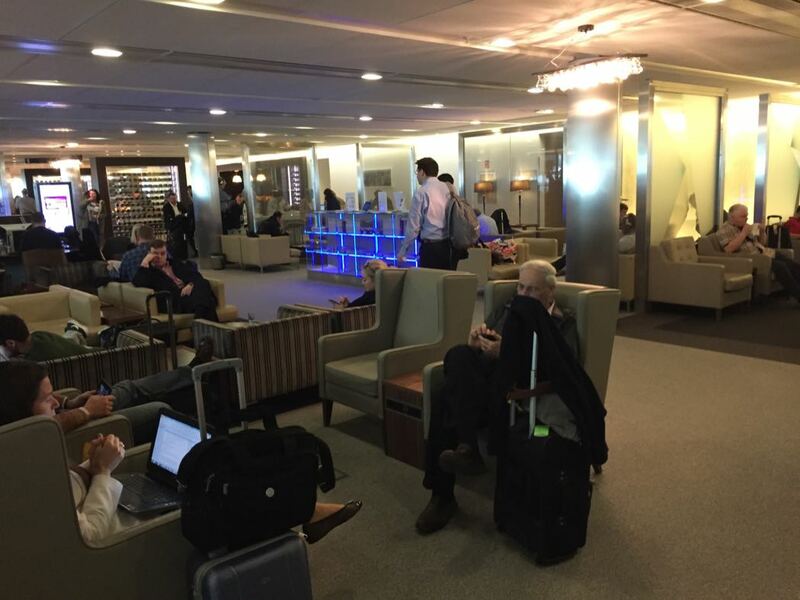 This lounge is huge and spaceous although somewhat lacking in available seats when we arrived. 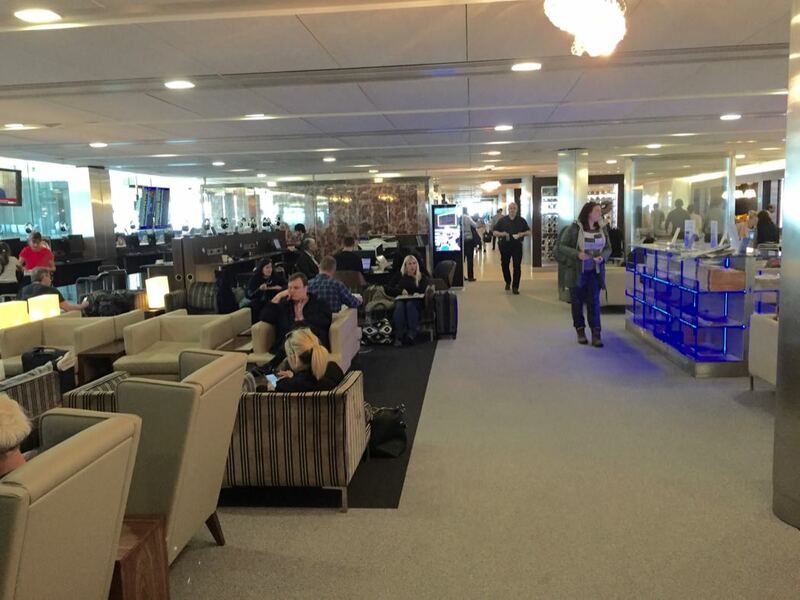 It is worth heading right on entering the lounge as there tend to be more available seats at this end. 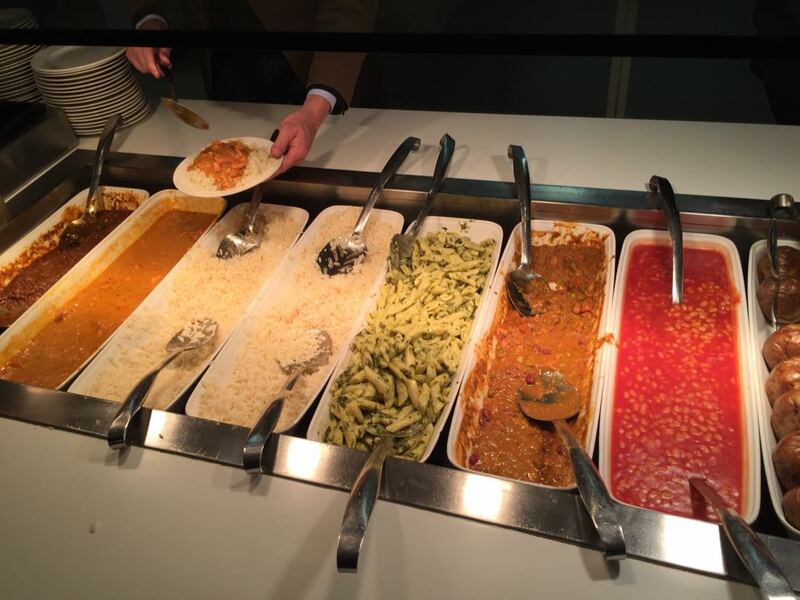 There is a very large buffet offering salads & coleslaws with or wthout dressing, hot dishes included rice with a spicy moroccan beef, a red thai chicken curry, a spinach & marscapone penne pasta, a vegetable curry, baked potatoes, beans and there was also soup, rolls, crisps, and a huge array of teas and coffee. 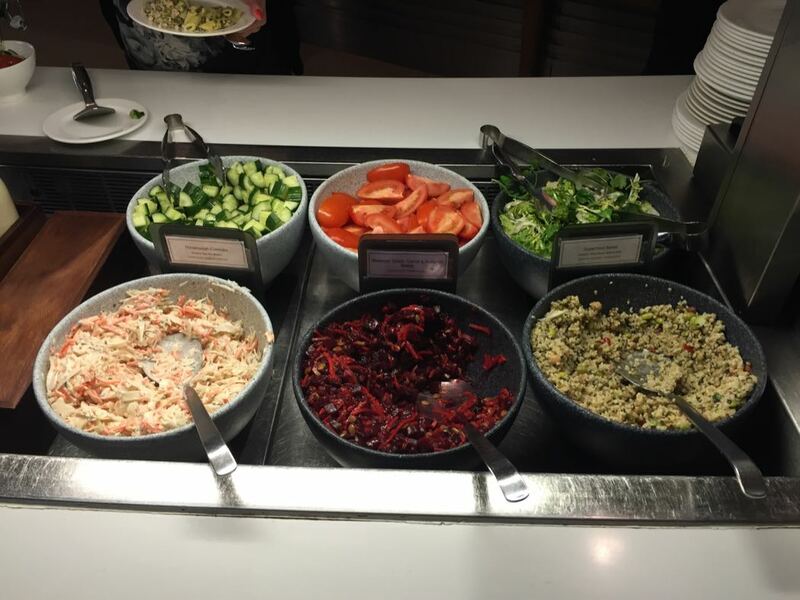 I opted for the thai chicken curry which was very pleasant and the healthy tasting superfood salad which I also enjoyed. There was also a huge aray of newspapers mainly in English and magazines including Business Traveller. 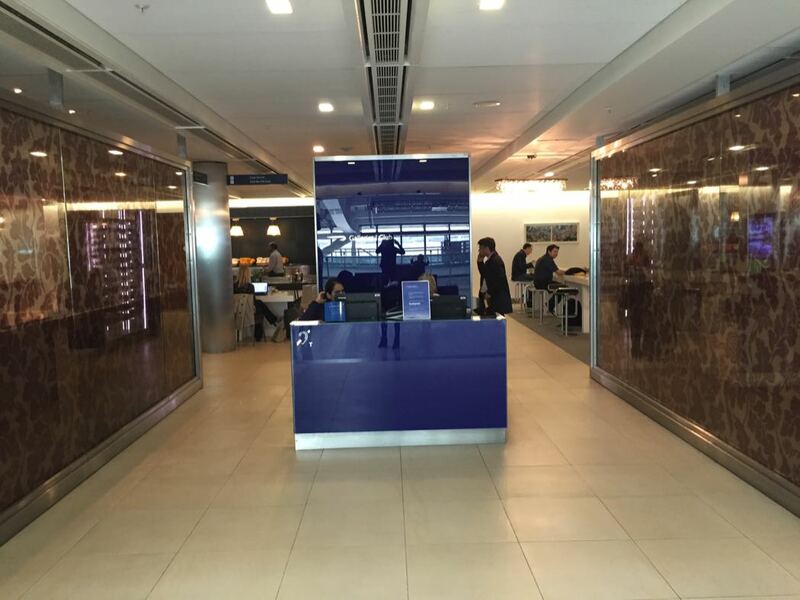 A useful British Airways help desk sat to the left of the entrance, with staff helping to sort out flight problems. There was also a useful business area with computers and a fax/photocopier, a cinema area (showing the news) and a kids play area. Views were limited. One side looked down onto the airport but otherwise the views were mainly of the roof. 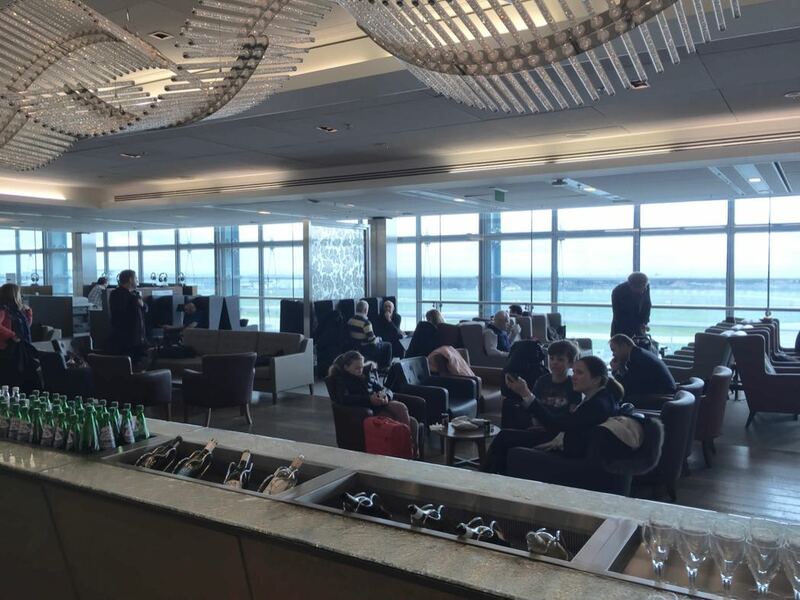 The Galleries North Lounge is more open with better views both to the inside the airport and outside to the parked up planes. 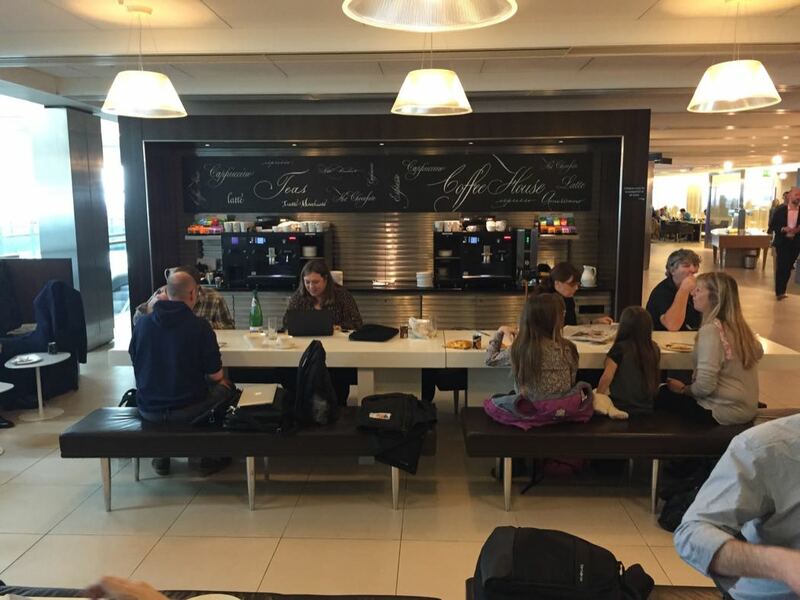 Which is the best British Airways Galleries Club Lounge In Heathrow Terminal 5? Good question. 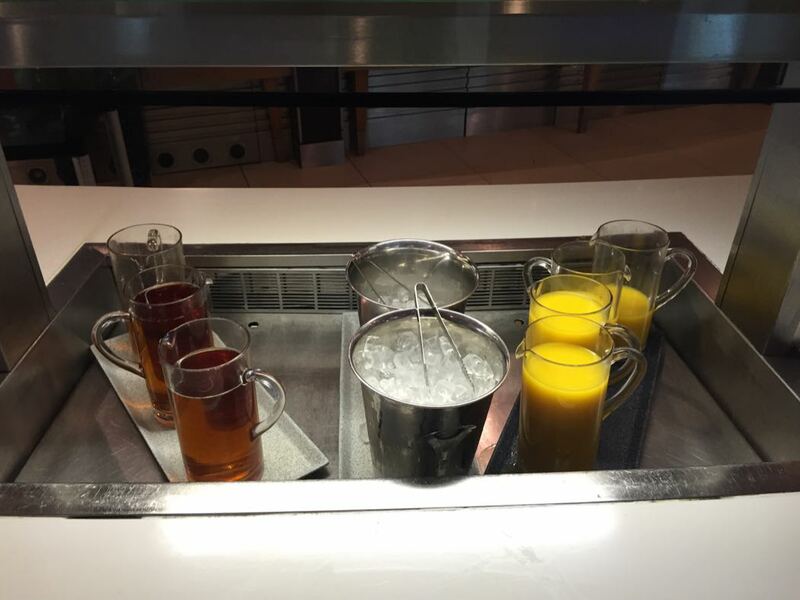 The food and drink offering is the same. 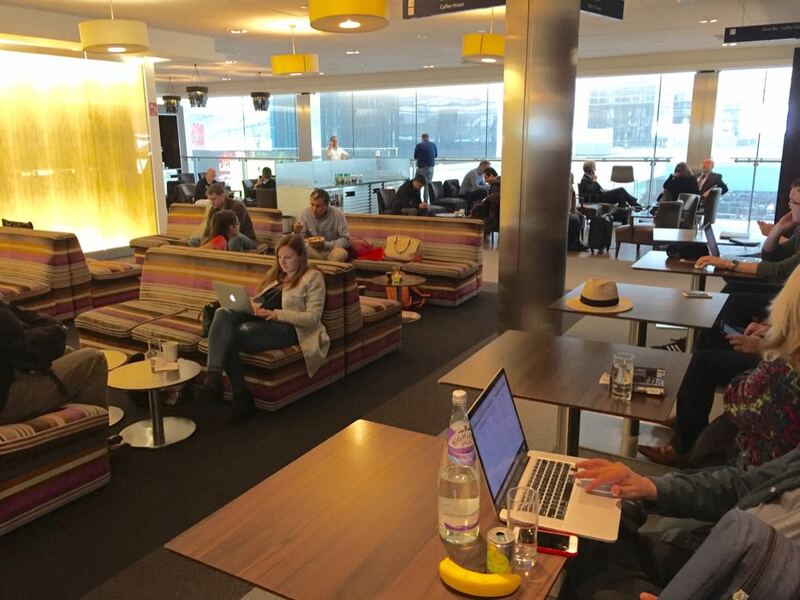 The North lounge is more airy with better views and higher ceilings but the South lounge, in my experience, tends to be less busy. 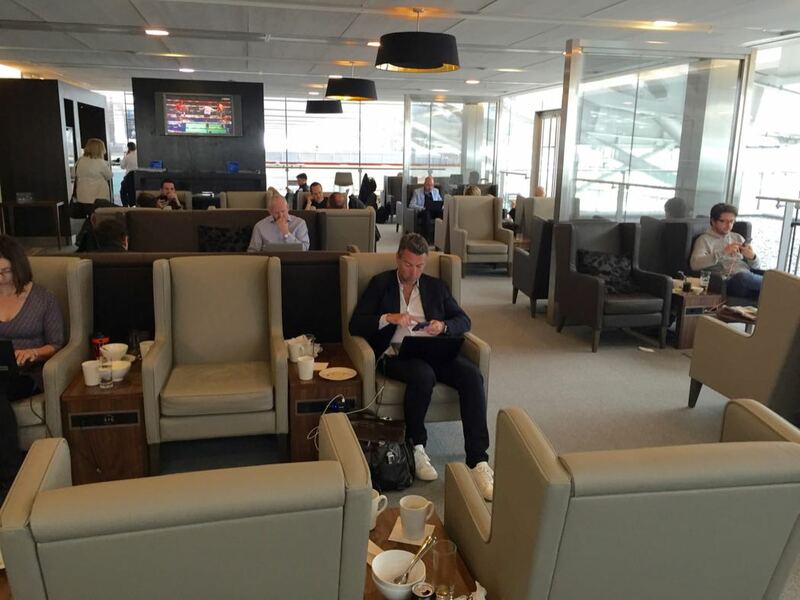 If both were empty I would choose the Galleries Club North as the best lounge in Terminal 5. 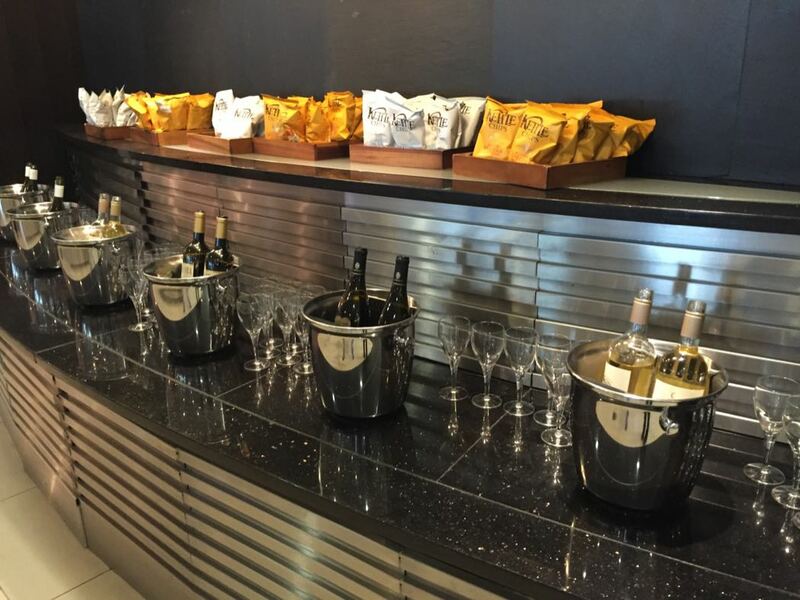 Both are good but neither are as good as the First and Concorde Lounges in Terminal 5. 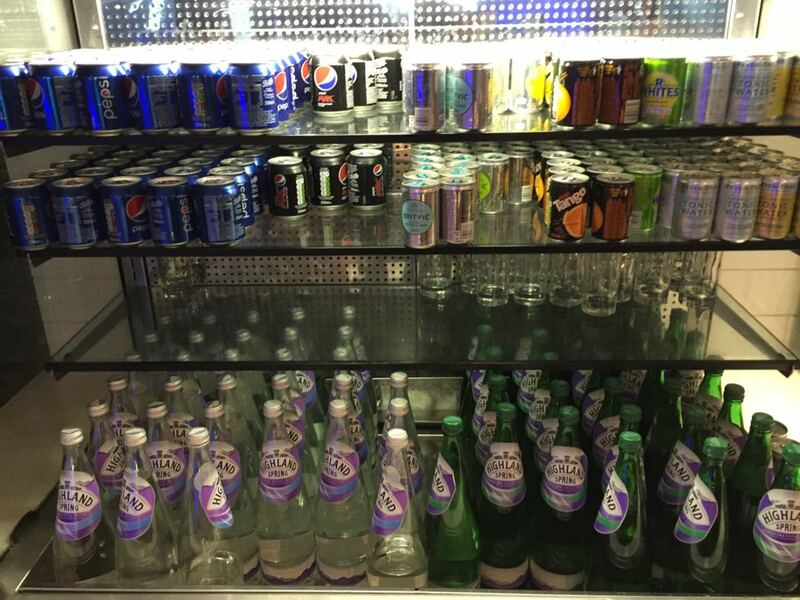 Take a look at the photos below and judge for yourself.